Leading the fight against the Separatist war machine are none other than the Jedi Knights. They enter the fight at the controls of the Delta-7 Aethersprite, a starfighter that allows them to use their Force-enhanced reflexes to the fullest. Behind them, clone pilots take to the skies in V-19 Torrents, covering their Jedi Generals with coordinated fire, tight formation flying, and salvos of missiles. 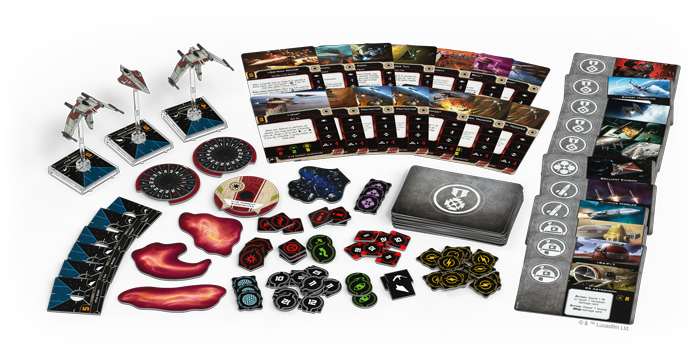 With the Jedi taking the lead, the Guardians of the Republic Squadron Pack gives you the chance to further explore the potential of the Force in your X-Wing squadrons. 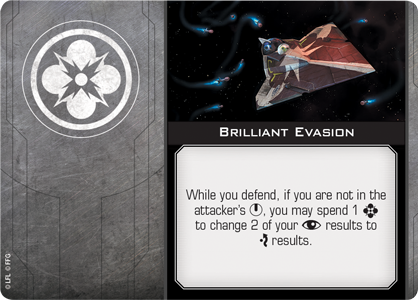 In addition to one Delta-7 Aethersprite (painted in Obi-Wan Kenobi's colors) and two V-19 Torrent Starfighter miniatures, this expansion contains new Force upgrade cards that unlock even more potential in your Force-sensitive pilots. For example, they could exhibit Brilliant Evasion to escape a seemingly impossible situation unscathed. And of course, like Servants of Strife, the Guardians of the Republic Squadron Pack makes the perfect introduction to the game with a wealth of upgrade cards, including reprints of many common neutral upgrade cards. If you're interested in starting to fly alongside the Galactic Republic, this squadron pack is the perfect second purchase after your X-Wing Core Set!